Fibromyalgia is one of the most common chronic pain conditions in the United States. It is believed to affect one in fifty people in the U.S. alone, according to the American College of Rheumatology. This condition is very problematic because it is extremely difficult to diagnose. It is also difficult to treat because it tends to be a chronic condition. 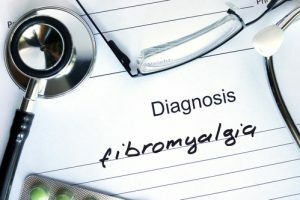 Many doctors use pain medication that treats the symptoms, but there is evidence that shows gentle chiropractic treatment and massage therapy as very effective ways to treat fibromyalgia, minimize the pain, and even control. Doctors don’t really 100 percent know what fibromyalgia is or what causes it, but researchers believe that that the condition affects the way that the brain processes pain, causing it to be amplified and spread throughout the body. Symptoms of fibromyalgia include pain, excessive sleeping, mood swings, fatigue, memory loss, fuzziness, and depression. It seems to be more prevalent in women than in men. The condition may develop suddenly after severe psychological stress or physical trauma such as infection or surgery. However, it may also develop gradually with no known triggers. There are four primary ways that a Chiropractor in Overland Park or medical massage therapist in Overland Park can help patients with fibromyalgia. Chiropractic care focuses on whole body wellness and has been shown to be very effective in treating the condition. Gentle Chiropractic Adjustments. This chiropractic technique helps to realign your body and reestablish the connection between the nervous system and nerves throughout the body. It essentially resets the nervous system so that the brain can process pain more accurately. In fibromyalgia, the pain is believed to be caused by the central nervous system receiving faulty or inaccurate pain signals and the result is pain felt throughout the body. Medical Massage Therapy. This is an important part of a treatment that your Overland Park chiropractor will recommend. Fibromyalgia can cause severe muscular pain and patient stop moving or exercising because it simply hurts too much. When the patient stops moving they lose muscle tone which actually exacerbates the effects of the condition. Addressing the muscle component of this condition can yield amazing results. Lifestyle Adjustment Recommendations. The chiropractor may also make recommendations regarding lifestyle adjustments. This can include incorporating exercise into the patient’s daily routine or finding ways to control the pain without medication. A patient who spends most of their day sitting behind a desk may be advised to take periodic walks. The recommendations will depend on the patient’s everyday activities and lifestyle. Nutritional Recommendations. Nutrition plays a large part in every aspect of the body. It can cure conditions and help alleviate symptoms. The chiropractor will often make recommendations regarding changes to the diet and supplements, as this helps both the psychological aspects of the condition as well as they psychological ones. This type of treatment is often recommended in conjunction with chiropractic treatments as part of a whole body wellness approach. Gentle chiropractic treatments have been shown to be very successful in treating fibromyalgia patients, particularly in alleviating pain. Patients report a significant decrease in neck, back, and leg pain. Because it has the ability to provide relief without medication, chiropractic is regarded as one of the best treatments for the condition. When the spine is properly aligned the entire body functions more efficiently and effectively.